A meeting at the beginning of October 2014 formed The Friends of Millers Point to work with the existing local groups and the existing Working Party. The Friends group aims to be a focus for people outside Millers Point who want to support the existing groups and their struggle. 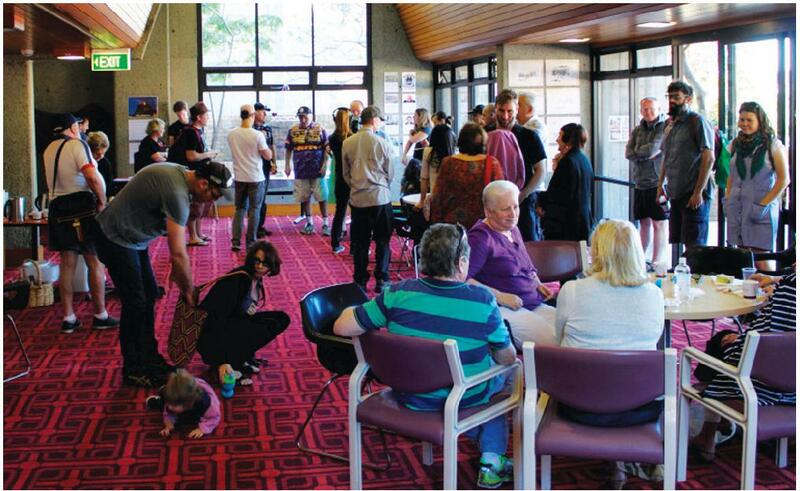 The Friends meeting was convened by the Mayor of Leichardt and includes artists, writers, musicians, performers, arts administrators, architects, community and businesses leaders, unionists, federal, state and local politicians, and residents. support the community of Millers Point, Dawes Point and The Rocks. The Friends will be kept in touch with what happens in this community over the next 18 months through a regular email newsletter, occasional special events, and links with the festivals and events that occur in this neighbourhood. Early activities of The Friends of Millers Point involved a SOS Save our Sirius exhibition and open house in early November and Save Darling House which is also threatened with closure as a result of the withdrawal of its peppercorn rent by Land and Housing Corporation. The Friends are arranging a screening and discussion of Pat Fiske’s film Rocking the Foundations which includes stories of the 1970s Green Bans. Jack Mundey and Nita McCrae together fought to save The Rocks from developers and from plans for high-rise office towers. The Green Bans were lifted for the building by the Housing Commission of the Sirius Apartments for the residents who had been displaced by some of the earlier demolition in the area. The screening and discussion with Pat Fiske and two other filmmakers Helen Barrow and Blue Lucien, who have each been filming in Millers Point for many months, will be at Abraham Mott Hall at 3.00 pm on Saturday 6th December, 2014. Jack Mundey, the patron of The Friends of Millers Point, is also attending. This was run as a companion article to Millers Point and the Rocks: An alternative way forward.